I finished this dress back in December but I was so busy packing, moving, and unpacking that I didn't take any photos until last week. So this is pretty much the most basic dress ever but it fills a wardrobe gap: I need a dress to wear with my hand knits. 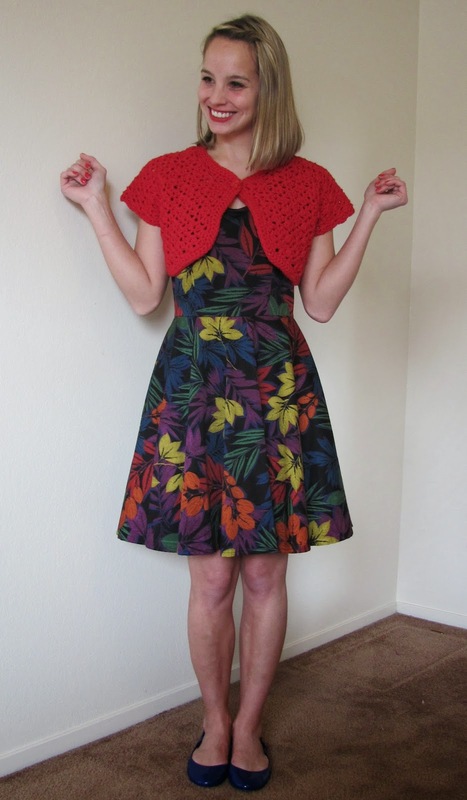 I find that I have surprisingly few items of clothing to wear with my knit and crochet cardigans. I used Simplicity 1873 for the bodice. I made view C in a size 10 with no alterations. I used the view C circle skirt pattern from McCall's 6955, also in a size 10 because I don't like the Simplicity pattern's skirt. Those pleats look so weird to me. They're just like an arrow to your crotch or something. I don't know. I used a cotton/spandex stretch sateen from the Red Tag section at Jo-Ann Fabrics. I think this fabric is appropriate for all seasons even though it's a tropical type print. 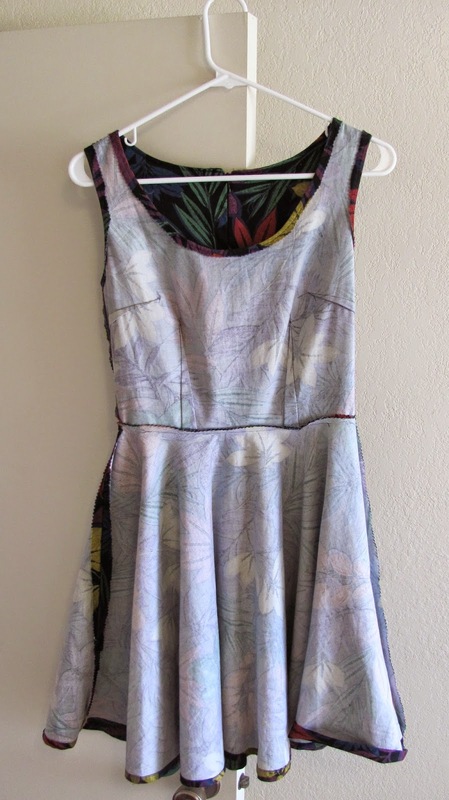 I love the colors and I really like that the pattern features both blue and black so I can wear this dress with navy blue and black cardigans. But I'm not sure that I'm a huge fan of the pattern itself. Like the actual tropical leaves. I feel like I missed a great opportunity for a bright, mismatched zipper. For whatever reason, I used a boring black invisible zipper instead. The waist is a little low. I think it looks less obvious in these photos than in real life. In literally every other blog post I've ever written I say that my clothes look better in person than in pictures, so this is a unique turn of events. I didn't line the bodice because I'm lazy. I used a narrow facing/bias tape hybrid to finish the neck and armhole edges. 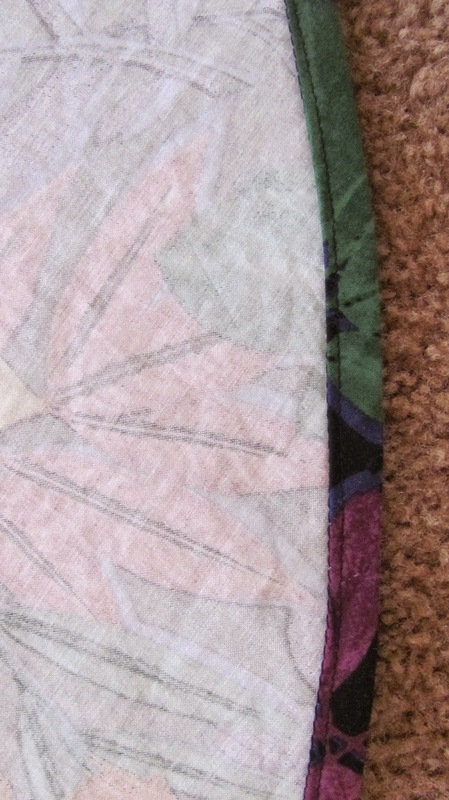 And I didn't feel like turning on my serger so I just pinked the seams. I was in a rush to get this finished for my work Christmas party, so I machine stitched the hem. 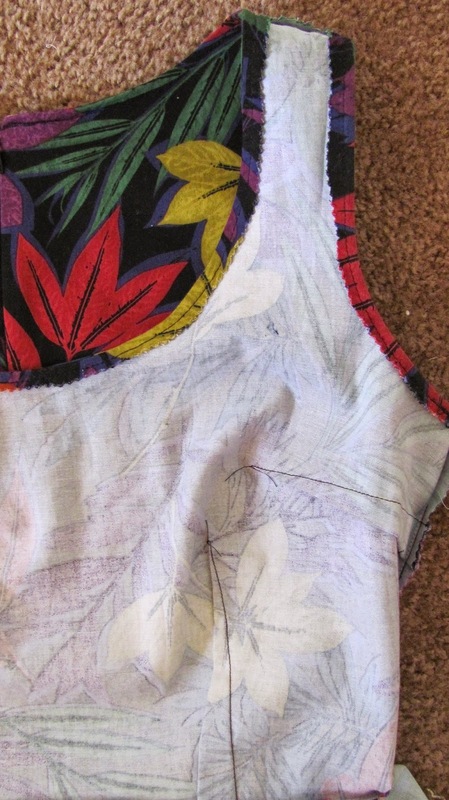 I don't know the last time I machine stitched a hem; I generally believe that hand stitching hems is way easier. But I machine basted, pressed, and machine stitched and things worked out just fine. It might actually be easier to hem a circle skirt by machine. Besides the fact that I don't love this fabric, I would say this dress is a win. It's comfortable and it matches everything ever, which is the whole reason why I made it. Look how cute it looks with my Agatha Cardigan and my Mei-Mei Cardigan! Your dress is super cute! I love it with the blue cardigan especially, Great job! That is really cute. 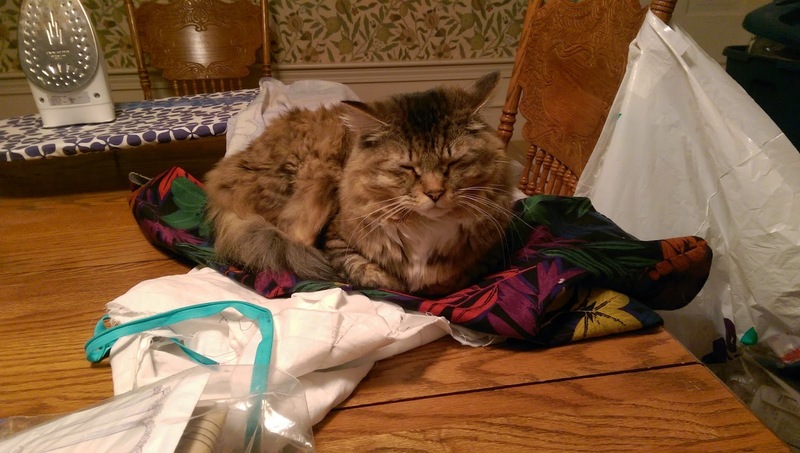 I do agree with you about the pleats on the Cynthia Rowley skirt! That dress seems to go with everything!